1 Could be a complement to a healthy lifestyle that incorporates a calorie-reduced diet and regular physical activity for individuals involved in a weight management program. Now, there’s a powerful new way to maintain weight with an organic, gluten-free, non-GMO key ingredient. 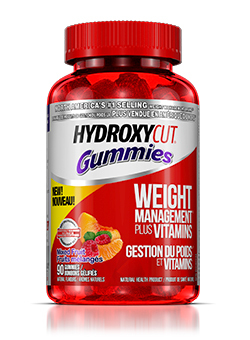 Hydroxycut Organic only sources certified organic C. canephora robusta in a scientifically researched dose for effective weight management, so you can stay on track and feel amazing! Naturally sourced caffeine from organic Coffea arabica bean and CoffeeBerry® provides a clean boost of energy, so you can make the most of each day. Formulated with B vitamins, which help in the metabolic conversion of nutrients. A source of the herbal adaptogen ashwagandha has been added to supply withanolides. To assess individual tolerance, for the first 3 days, start with 1 caplet, taken with a glass of water 2 times daily, approximately 30 to 60 minutes before your 2 main meals. For days 4 and beyond, follow the chart below. Do not exceed 2 caplets in a 4-hour period and/or 4 caplets in a 24-hour period. Do not take within 5 hours of bedtime. For best results, use Hydroxycut Organic for 60 days in conjunction with a calorie-reduced diet and regular exercise program. Consume 8 to 10 glasses of water per day. Read the entire label before use and follow directions.